Former top Trump campaign aide Sam Nunberg said on Monday that he will refuse to cooperate with a subpoena to appear before a federal grand jury investigating Russian interference in the 2016 election. But Nunberg said he thinks President Donald Trump “may have done something during the election” that the special counsel’s team could use against him. A former top adviser to President Donald Trump said on Monday that he will refuse to appear before a federal grand jury investigating Russian interference in the 2016 election. 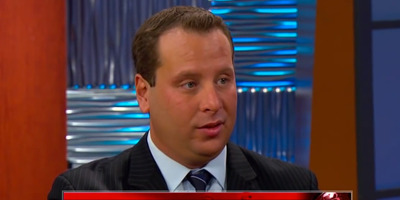 The adviser, Sam Nunberg, provided The Washington Post with a two-page subpoena from special counsel Robert Mueller requesting that he turn over documents, including emails and other communications, related to Trump and nine other people. Those other individuals include former Trump adviser Roger Stone, former White House chief strategist Steve Bannon, White House communications director Hope Hicks, and former Trump campaign aide Corey Lewandowski, Nunberg said. Nunberg, who was fired by the Trump campaign, argued that the task of collecting all of his communications over the last couple of years with the former Trump campaign advisers was too arduous and suggested that they are irrelevant to Mueller’s investigation. He then said it would be humorous if he was arrested for refusing to comply with the law. “I think it would be really, really funny if they wanted to arrest me because I don’t want to spend 80 hours going over emails I had with Steve Bannon and Roger Stone,” he told MSNBC.